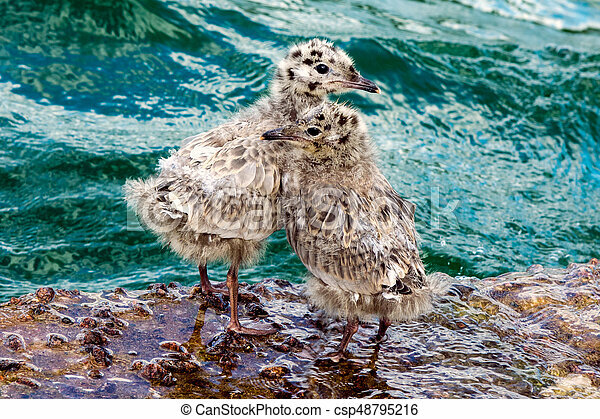 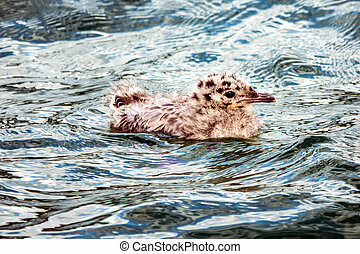 Common gull chicks by the water. 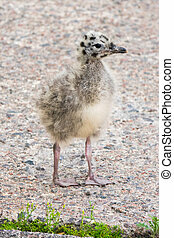 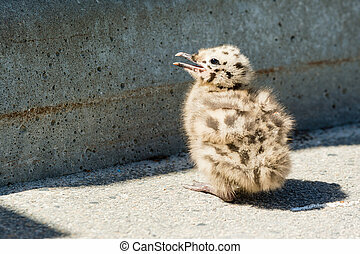 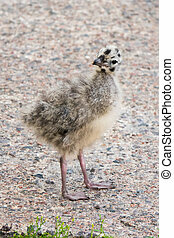 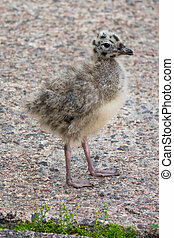 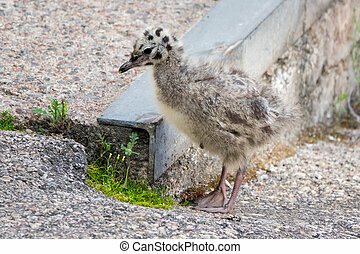 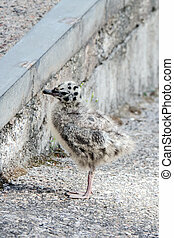 Baby chick common gull, Larus canus, in concrete parking place. 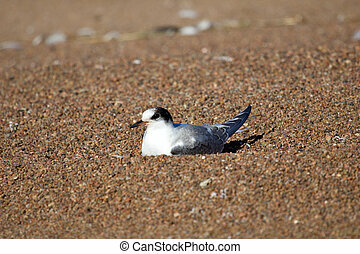 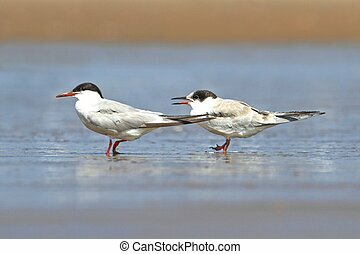 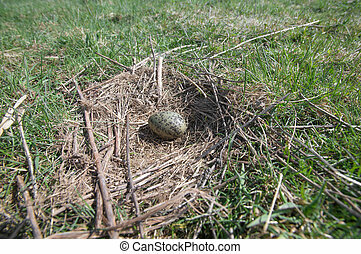 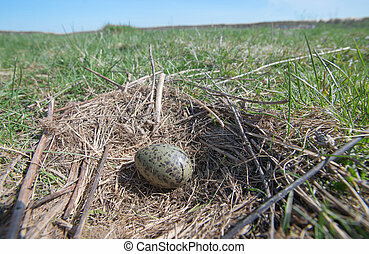 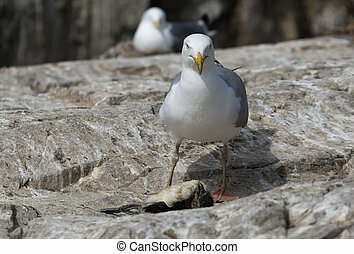 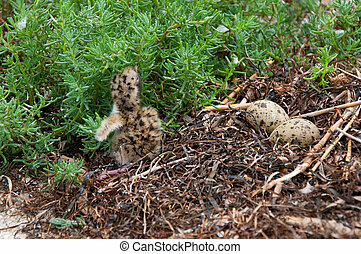 The nest of the Common Gull (Larus canus) in the wild. 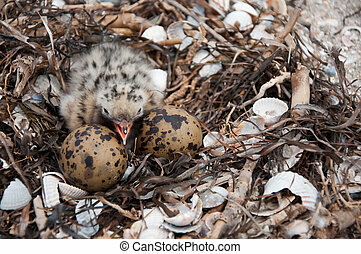 Gull nest on the shore Sea of Azov. 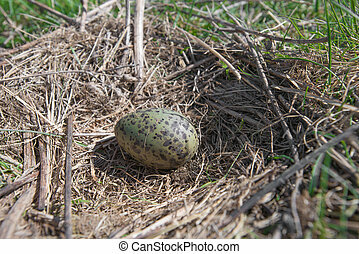 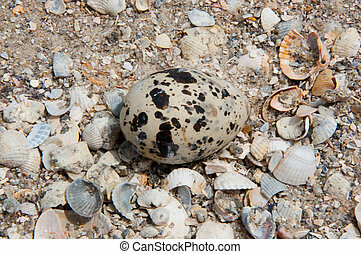 Gull egg on the shore Sea of Azov. 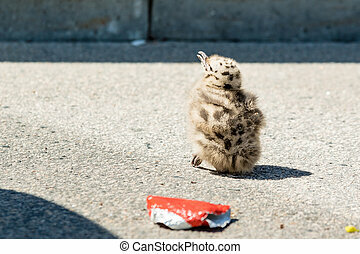 An unfortunately common scene at the New Jersey Shore is to see wildlife and human trash. 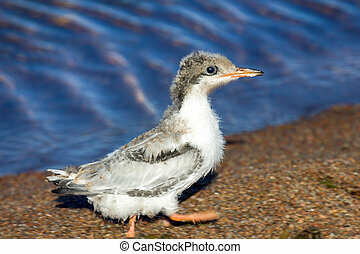 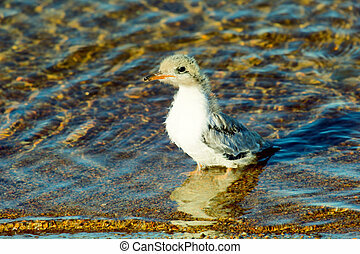 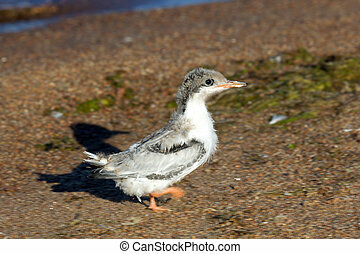 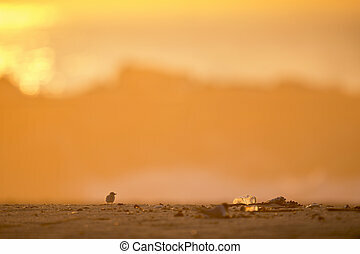 This very young and very tiny Least Tern chick stands on a sandy beach as the sun rises with a large plastic bottle sitting next to it.